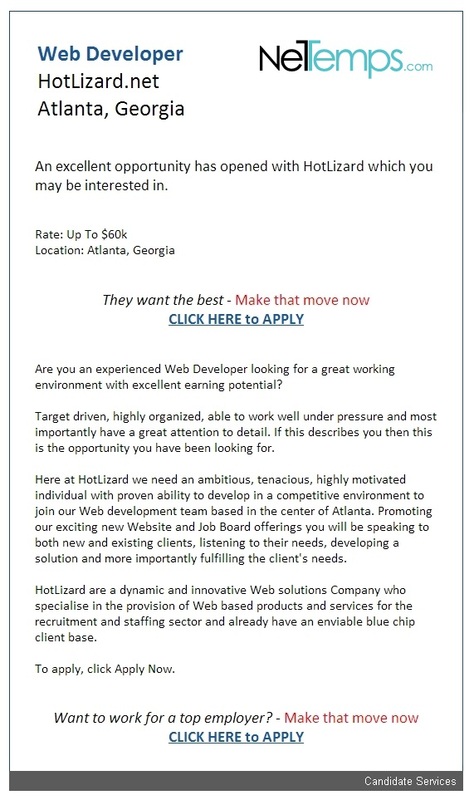 NetTemps will send out your job posting in an exclusive, targeted HTML email to an audience of registered job seekers who are considered to be extremely relevant for your job (up to a maximum of 500 recipients). Using our behavioural matching system Alchemy, ideal candidates are encouraged to take a look at your job and apply if suitable. Add an Exclusive Email Campaign to your job postings by posting a new job or 'Promote' an existing job via Job Manager.